CARFAX One-Owner. Clean CARFAX. Priced below KBB Fair Purchase Price! 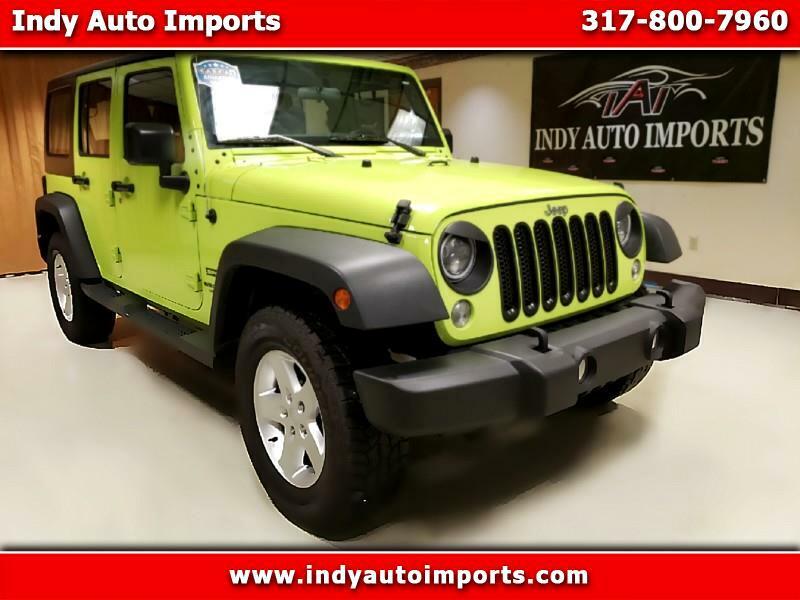 Hypergreen Clearcoat 2017 Jeep Wrangler Unlimited Sport 4WD 5-Speed Automatic 3.6L V6 24V VVT 16" x 7.0" Luxury Styled Steel Wheels, Connectivity Group, Front Bucket Seats, Quick Order Package 24C, Remote USB Port, Tire Pressure Monitoring Display, Uconnect Voice Command w/Bluetooth, Vehicle Information Center. We are the largest used car dealership in Lebanon. We are right off of I-65, only minutes from everywhere! Awards: * 2017 KBB.com 10 Most Awarded Brands Visit Indy Auto Imports online at indyautoimports.com or call us at 317-800-7960 today to schedule your test drive. Visit Indy Auto Imports online at indyautoimports.com to see more pictures of this vehicle or call us at 317-800-7960 today to schedule your test drive. "We had a great experience with this dealer. We were looking for a car for our daughter, and the low pressure sales and knowledgeable staff helped us to find a great deal for her. Two thumbs up!"  "I had a great experience at Indy Auto Imports! Shannon helped me from day 1, followed up with emails, and walked me through the process. Brady & Rob helped finalize the sale and the process was seamless:>) They all helped me throughout the buying process and I walked away with the car I wanted!!" "I am glad my daughter and I found Indy Auto Imports on the web. What stood out was the FREE warranty. For a 2006 Chevy? Who does that?! We were looking for a reliable car for her to get back and forth from college. The other dealers just wanted to sell a car. Shannon and Brady wanted us to buy a car that fits our budget and one she likes. I noticed some vibration when we test drove it. I mentioned it to them and they immediately took it on a test drive themselves and a mechanic at the dealership looked at the car. They said they would check the car over, and we could come back the next day to pick it up. When we returned to buy the car, they checked the brakes, rotors, and REPLACED the steel wheels at NO COSTS. Yes, they did not add the cost of the wheels to the price!! When we signed paperwork, my daughter was right there. Rob explained each document in detail to us to better understand why this document is required. He answered all of our questions. He explained every fee, what is needed to register the vehicle, and what the warranty covers. I have bought cars for over 30 years and this is the most comfortable I have ever felt purchasing a used car. It was important to get everything right because it's my daughter's car. I want her to feel comfortable and safe behind the wheel!" "This dealer was two hours away from me! Totally worth the trip! Shannon helped me with every step! Management; Brady and Rob were also great!! No pressure! All were very kind and very responsive. I couldn't get the car that day but they worked with me for hours making sure I got the best deal and stayed in contact with me up until I picked up my car! I've been to many dealers, but I've had the best experience here! Big thanks to Shannon, Brady, and Rob! Highly recommend!" "Nothing but kindness and clear information. Fair price. Great selection. Shannon Krueger is the bees knees. Brady was very helpful throughout the whole process. Thank you so much guys! Look forward to seeing you again soon." "Very reasonable, non-confrontational, and friendly staff, which made this car purchasing experience very laid back and enjoyable! Although it was super busy, my husband and I never felt neglected and were continually updated throughout the process, which was very much appreciated!" "Due to a logistics mistake between my insurance company and the previous auto loan company, i was initially inelligible for a new auto loan, but Jason and Rob worked hard and talked with the banks to get it all sorted out for me. Got the car i wanted and quickly got through the paperwork." "The gentlemen at Indy Auto Imports were a pleasure to work with. Both Jason and Tom bent over backwards to find a financing solution for my low credit score, and ultimately I was able to drive away with a beautiful used vehicle in excellent condition. I would highly recommend Jason to anyone looking to purchase a vehicle and Tom for anyone needing to finance a vehicle." "I went looking to buy a car, test drove two...Picked the PT crusier. I have two loans on my credit it was looking bad for me...but thanks to Jason laycock and Rob.. I got that loan.. Jason caught tooth and nail for me...he went above and beyond and for that Jason Laycock you are the man right now...I greatly appreciate every thing you and Rob did for me...SHE RUNS GOOD. THANKS SO MUCH"
"We bought a 350z from Jason and this team is exceptional! Very fair and honest and are really concerned with helping you find the perfect car. They even stayed open an additional 2 hours to get our financing done! Also received some great support from Brady and Justin. Cannot recommend them enough!"